I have over the past few months become close friends with some of the owners. Now some of you have got very good enquiries and some have not. I wanted to share with you some of the reasons why some of you might not have got good responses. These points are meant to be constructive criticism and to help you in identifying what you can do to improve. 1. You are taking too long to respond. Typically, a user sends messages to more than one owner and at the same time is also on a travel website like makemytrip to find hotels. If he does not get a response within the same day, he may be getting close to his travel dates and he will make a booking elsewhere. This in our opinion is the biggest reason why our owners lose customers. We have also seen some owners lose business after exchanging a few messages because they finally delayed responding to the traveler at the final stage. 2. Your photos are missing, blurred, night shots or else incomplete. I would like to stress this. The traveler needs to be able to build a mental picture of your property after seeing your pictures. What this means is if there are three bedrooms, please put photos of all three bedrooms or else they will expect the worst. If you have not put any photos or have put in very few photos, expect that you will not get enquiries as noone will want to risk going to a place that they have not seen before. 3. Your description is a cut-paste of your website. This makes reading your property description very boring. Please avoid using words like Serene, Untouched and assorted superlatives. It is best to use simple, clear, factual language so that the person on the other side clearly understands what you are trying to say and gets a good mental picture of your property. Also try and use the section for activities to mention activities and how convenient it would be to stay in your property and partake in the activities. This will be the biggest sell as it will communicate that your property is a convenient place to stay. 4. Your Availability Calendar is empty. This point is psychological. When a traveler comes and sees that your availability calendar is blank, he will feel that the property is either not very popular or that the owner is slow to respond to enquiries. As such, we have given you the facility to enter even your other reservations into the calendar. This is a free service and we give this so that you can manage your reservations better. It will also give a true picture about your property and reduce number of questions that you have to answer. 5. Your rates are missing. Again, this is something that is a big mistake and really puts off travelers. Everyone wants immediate information and if they feel that you are too expensive or else don't know how much it would cost them, a lot of people would not send an enquiry. A better way is to give them a pleasant surprise about how cost effective your property is. 6. Description of property is too short Again, if your description of your property is too short, I strongly feel you will not get any enquiries. Ensure you put some effort into writing something that will appeal to someone else and at the same time clearly emphasizes the convenience, facilities and the cleanliness and service standards you have set. 7. No Reviews or Testimonials. This is a common feedback we have got. As we ourselves are very new, we are now adding Teddy Sirji reviews to some of the properties. However, my suggestion would be for you to add reviews to your own property with the name of the guests and their genuine comments. Try and put in longer comments and not just 2-3 words which they would typically write in a greeting book. Remember here, the traveler is looking for information which he can use to make a decision. 8. You are not featured on the homepage. This is a FREE service we provide to all our owners. The owners who are featured on the homepage have not paid anything for the same. Please feel free to contact me and ask to be featured and we will be glad to do so. 9. Your property details are wrongly listed. This is usually bad for business when you have entered details which make your property appear smaller than what it is. Frequently we have found this mistake to be made by people giving our rooms within their Homestay. There instead of selecting the number of rooms they have e.g. 5, a large number of owners have selected 1. This means that if there is a group visiting and looking for a place, they will not send you an enquiry as they feel you have only one room available. Hence, please check and correct this at the earliest. As always, if you need any assistance we are here to help. 10. Most Importantly, Your Profile may be Inactive!! When you register on our website, we send you an email with an activation link that you need to click to activate your account. If your account is inactive, messages will not be delivered to you. To check if your account is inactive, please try and login into your account. If you are unable to, first try and reset your password. If that still does not work, most probably you are inactive. Please then contact us immediately so we can resend the link to you so you can activate your account. 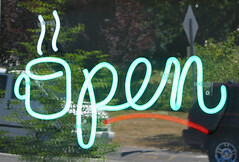 Finally, remember your profile on HomeStaysDOS.com is like the OPEN sign outside your Shop. Please make sure it is clear and welcoming! !